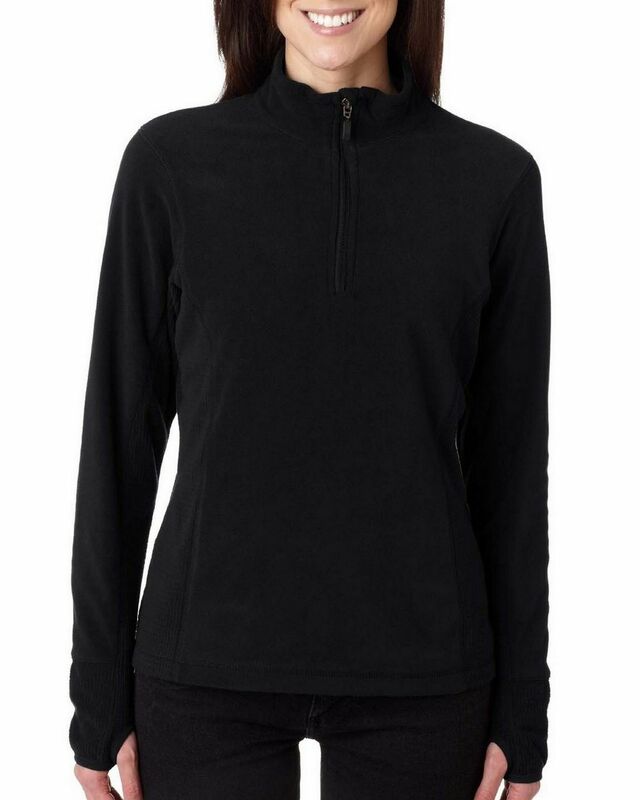 4608 Storm Creek Ladies' MicroFleece Quarter Zip Pullover. When you're in the weather,You shouldn't have to worry about it. Coordinate: Men's 4609 100% Polyester extremely soft ultra fine micro Fleece. Extra long zipper with chin guard double needle cover stitching. Flat seams drop needle trim thumbholes on sleeves tonal mini grid texture on inside sleeves cuffs and side panels.